The history of Shotokan can be traced back some 1400 years, to Daruma, founder of Zen Buddhism in Western India. Daruma is said to have introduced Buddhism into China, incorporating spiritual and physical teaching methods that were so demanding that many of his disciples would drop in exhaustion. In order to give them greater strength and endurance, he developed a more progressive training system, which he recorded in a book, Ekkin-Kyo, which can be considered the first book on karate of all time. The physical training, was taught in the Shaolin Temple in the year 500 A.D. Shaolin (Shorin) kung-fu, from northern China, was characterized by very colorful, rapid, and dynamic movements; the Shokei school of southern China was known for more powerful and sober techniques. These two kinds of styles found their way to Okinawa, and had their influence on Okinawa’s own original fighting method, called Okinawa-te (Okinawan hand) or simply te. 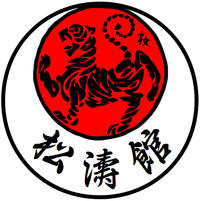 A ban on weapons in Okinawa for two long periods in its history is also partly responsible for the high degree of development of unarmed fighting techniques on the island.